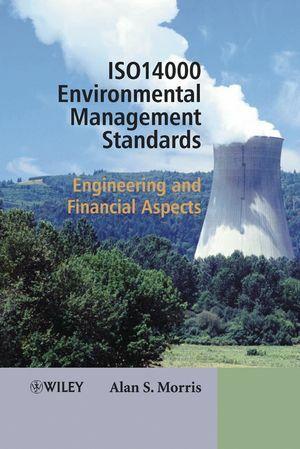 This book covers the cross-disciplinary areas between management issues and engineering issues relevant to implementation of Environmental Management Systems (EMS) to the ISO 14000 series standards. It summarises the requirements set by ISO14001 and considers the management and engineering policies needed to satisfy these requirements and achieve ISO 14001 certification. Dr. Alan Morris is a member of the Dept. of Automatic Control and Systems Engineering, University of Sheffield, UK. 2. Design and Implementation of ISO 14001 Environmental Management Systems. 3. Measurement Systems in Environmental Management. 5. Measurement Signal Conversion, Processing, Transmission and Recording. 6. Quantification and Effects of Air Pollution. 7. Quantification and Effects of Water Pollution. 8. Control of Air and Water Pollution. 9. Noise, Vibration and Shock Pollution. 11. System Reliability and Risk Assessment for Environmental Protection. 13. Monitoring Process Parameter Values to Minimise Pollution Risk. Appendix 1: Summary of ISO 14000 Series Standards. Appendix 2: Typical Structure of an Environmental Management System Manual.